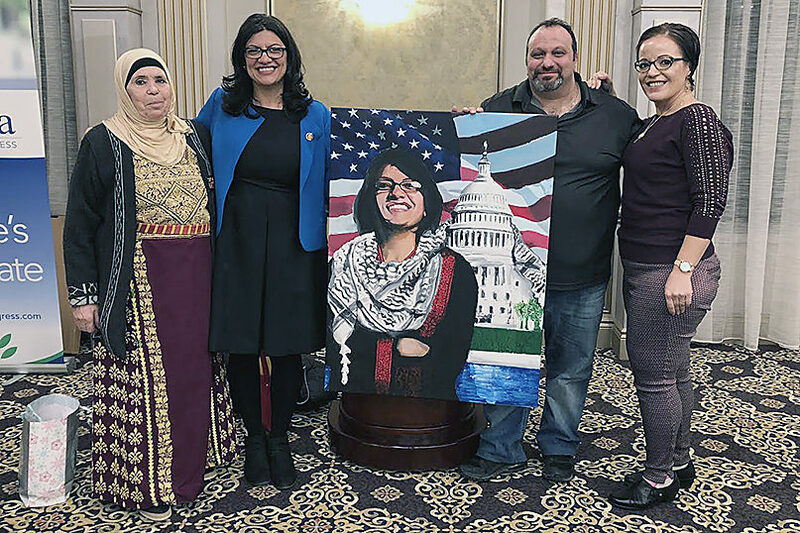 (JNS) Congresswoman Rashida Tlaib (D-Mich.) met with Abbas Hamideh, a Palestinian activist who has said that Israel is a “terrorist entity,” over the weekend. The meeting on Saturday sparked condemnation from the pro-Israel community. Christians United for Israel “has decided that we are not going to dignify Rep. Tlaib’s steady drumbeat of appalling statements and actions with a response,” spokesperson Ari Morgenstern told JNS. CAP: Executive director of the Palestine Right to Return Coalition Abbas Hamideh poses with Rep. Rashida Tlaib (D-Mich.) at a swearing-in ceremony and private dinner in Detroit on Jan. 12, 2019. Credit: Abbas Hamideh/Twitter.